I’ve just sent out the April State of the Thing, our monthly newsletter. Sign up to get it, or you can read it online. 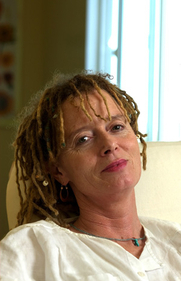 Anne Lamott’s Imperfect Birds is the third in a series about the characters Elizabeth and Rosie (and now-husband James). In Imperfect Birds, the first-person narrative shifts between mother and teen daughter. Elizabeth is simultaneously dealing with her own demons of depression and alcoholism while dealing with her child’s growing freedom. Rosie pushes boundaries to the breaking point, with serious drug use and lying forcing Elizabeth to view the unpleasant realities of her daughter’s actions and her own desire for polite fiction over impolite truth. Anne’s previous books also include the non-fiction Bird by Bird: Some Instructions on Writing and Life, Operating Instructions: A Journal of My Son’s First Year and Traveling Mercies: Some Thoughts on Faith. Next month, I’ll be interviewing Yann Martel, author of Life of Pi, about his new book Beatrice and Virgil. I’ll also be interviewing David Baldacci, who’s new novel, Deliver Us from Evil, will be out April 20th. Have a question for Martel or Baldacci? Post them in the Author Interviews—you ask the questions group.